Prepare for your move out of your old home by ensuring that the packing process is as hassle-free as possible. Check out these tips. 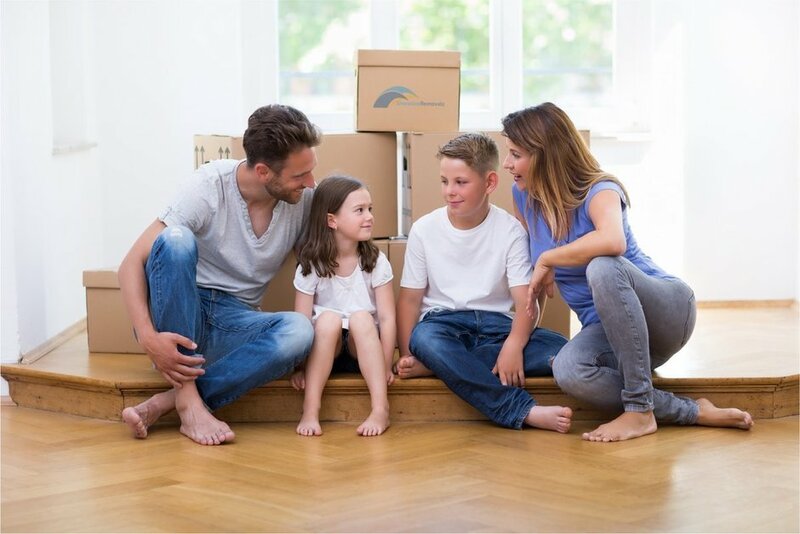 While it's economical to collect old, unused boxes in your house and from friends, it's essential that you ensure durable boxes are used for heavy items to avoid accidents and damages during the move. Fortunately, removal companies can also offer suitable packing materials as part of their service. Find out what our clients say about us and our packing solutions today. Especially when you have a huge house, it's best to pack at least two months before the move starting from the rooms you least used. In this way, you won't panic when the big day comes and you still haven't packed everything. Treat your move as a chance to purge things you don't use and to have a fresh start. Give them to friends or if you want to have additional money, organise a garage sale. Letting go of stuff is hard, that's why it's important to start as early as possible to give you time to make a decision. This will save a lot of time for the moving team in determining which boxes should go in which room. If resources permit, consider colour-coding your labels for quicker and more convenient identification. Also, make sure to provide a rough map of your new house for the moving team to determine where each box should go. Set aside a box or two containing essential items you can immediately use on your first night or first week in your new home. These include toiletries, plates, utensils, clean clothes and fresh linens. Also include knives, can openers and other small tools that you can use to make quick fixes in the house during the first few days. Don't forget to bring these boxes with you in your car (and not in the moving van) during the move. Make your move even more convenient by hiring a removals company that also offers packing products and storage facility options. Get in contact today for a no obligation quote on our services. Moving house can be a major change in your life, and with the huge stress that this event can give, the risk of forgetting to do some important steps associated with changing residences is high. But don't worry, as here's a quick list of what you need to do before you permanently live in your new place. Search for removal companies in Bristol or anywhere in the UK as soon as possible so that you can find one that is available on the day of your move. Also, consider moving on a weekday. Some people start packing two months before the big day, starting from seasonal items such as Christmas decors. Also, consider starting in rooms that you don't often use. There will be some things that you might not want to let go but can't fit in your new house. Consider renting a storage facility to temporarily keep these items while you're trying to decide what you'll do with them. There are removal companies that can also offer storage solutions to their clients. Find out more about Excalibur Removals to know your options. Make the necessary cancellations or adjustments to your utility companies to ensure continuous services for gas, electricity and cable, among others. Avoid possible identity theft when moving house by ensuring that your bank, club and other important entities are informed of your new place where they can send your bills and other confidential documents. Make sure to cancel local newspaper and magazine subscriptions as well as local services such as window cleaners, gardeners and daily housekeepers before you move out. In many cases and depending on your current landlord, you will need to do end-of-term cleaning in your current house. For your new home, having a spring cleaning is also recommended before moving in. To avoid stress, entrust both cleaning tasks to professional companies.